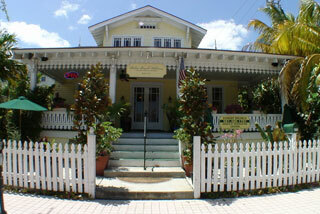 Garden House Bed and Breakfast is a cozy, island-style inn, very centrally located. At Garden House Key West Bed and Breakfast, we want you to have a great time, and relax, it’s island time! Our Key West hotel has 10 guestrooms (each with private shower) surrounding an intimate lagoon-type pool, nestled in a tropical garden. As we show you to your room you'll likely hear laughter spilling around the building from the other guests enjoying the free happy hour, you'll be waved over to join the fun. Nestled on a secluded corner lot, this historic home was built in 1915 and said to be one of the oldest homes in Lake Worth. Casual elegance, privacy and cascading water fountains make you feel as if you are in a private oasis. A full gourmet breakfast awaits you on the veranda overlooking the pool each morning. 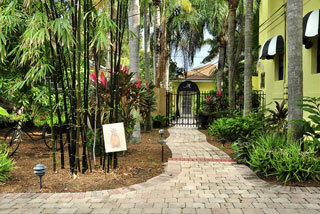 The inn is a short walk to the beach and downtown Lake Worth. Innkeepers Judi, Deb and Bill hope that a stay at the Mango Inn Bed will provide you with a peaceful respite from everyday life.